The following is a guest post by Lindsey Kolowich. Lindsay is looking forward to beautiful fall weather in New England. You can find her trying out new banana bread recipes, playing squash, or cheering in the stands at Fenway Park. She loves creating educational content for marketers – check out her team’s recent video course on SEO. Don’t forget to follow her on Twitter at @lkolow. A sinking feeling in your gut. A spike of adrenaline. Maybe a little sweating. Whether you’ve posted something to your company’s social media account that you didn’t mean to or didn’t realize the implications of, or you’re on the receiving end of a high volume of incoming criticism, your brain is probably kicking into panic mode — and it’s in these moments that having some sort of a plan is so critical. That way, you can put out the fire instead of inciting further damage. Sometimes, social media mistakes are as inconsequential (and adorable) as your colleague inadvertently tweeting a picture of their baby bump to the company’s 400,000 Twitter followers. Other times, they can be more serious and have a huge effect on your business. At HubSpot, we do our very best to apply the principle of “use good judgment” to everything we do. But our company (like most companies) is run by humans — and humans make mistakes. When a mistake happens, you can expect people to take to Twitter or other social media channels to reach your company. After all, anger is the emotion that spreads most easily over social media, according to a 2013 study. Ask yourself whether this is a real crisis. 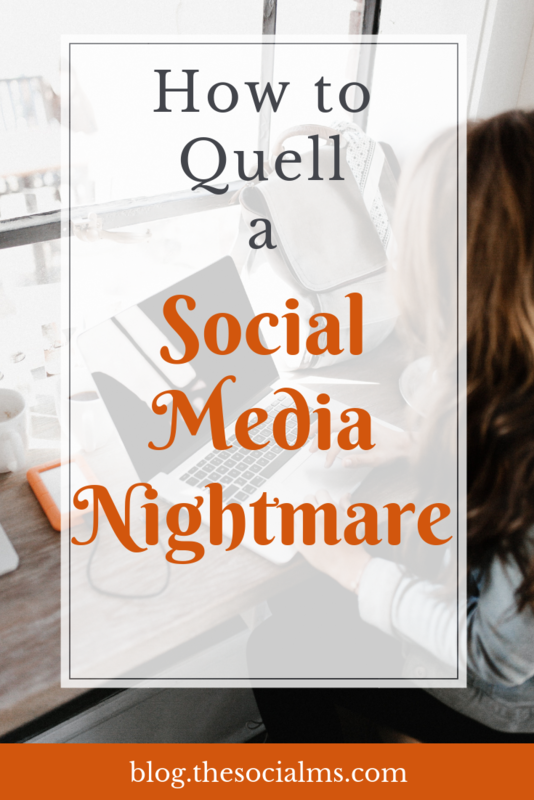 Let’s take an up-close look at each of these steps — using examples along the way of real companies that have dealt with real social media disasters. 1) Is It a Real Crisis? The moment you realize something’s wrong, you might be tempted to flip out — but don’t. First thing’s first: Take a deep breath and think about whether the incident is actually a big deal in the grand scheme of things. Although the fake logo itself wasn’t a mistake, the fact that it appeared in place of Greggs’ real logo was an unintentional error on the part of Google. Thousands of people alerted Greggs’ social media team to the issue on Twitter. 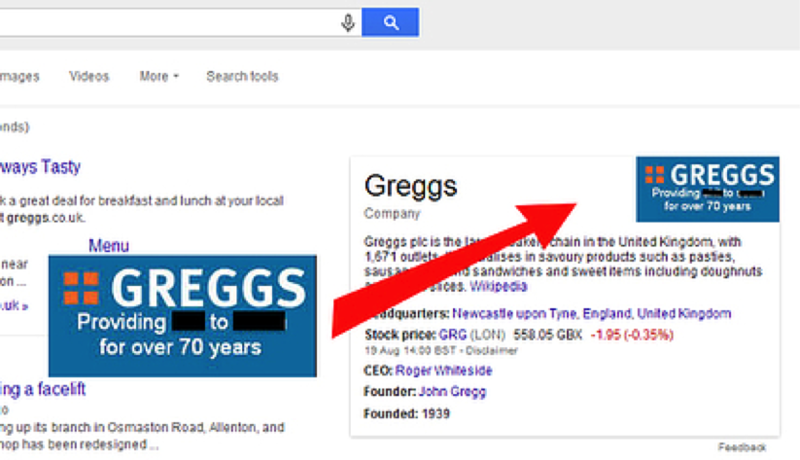 The folks at Greggs could have freaked out at Google. Instead, they recognized that the mistake wasn’t a huge deal and chose to be super chill about it. No harm, no foul. The good humor continued in Greggs’ responses to consumers on Twitter. There’s something wonderfully human about Greggs’ response to Google’s screw-up. When appropriate, responding to an issue like this with humor and good-naturedness can make a brand more likeable while keeping stress levels down. Imagine you are the person who tweeted a pornographic photo from the US Airways Twitter account and didn’t notice for an entire hour. You’ve weighed whether it’s a real crisis and decided that yes, it is — in fact, it’s a total PR nightmare. This is a good example of mitigating the outrage — not with humor, but with sobering transparency. To salvage credibility, it’s best to be authentic and honest on social media instead of ignoring or skirting an issue. It doesn’t matter how careful you are: A social media slip-up could happen to anyone, whether you sent a rogue tweet or are fielding responses on social media about another part of your website or marketing activity. Every social media team needs to have some sort of idea of what to do in a bad situation. At the very least, know who to go to if something happens — and never go it alone. “I think it’s really important to consult with others in a time of crisis,” says HubSpot’s former social media manager Brittany Leaning. “I always asked the PR team for a gut check or second opinion on these things.” With big slip-ups, delete the offending post and consult with the person who handles PR at your company or your boss to see what next steps should be taken. Just remember: While dealing with social media mistakes can be very stressful, they can give you an opportunity to figure out why it happened and make adjustments to your training, management, and communication to be better prepared for next time.